Letters & Seals is an expansion for Istanbul, winner of the 2014 Kennerspiel des Jahres. Istanbul is a board game of trading and planning set in the great bazaar of Istanbul. You play a merchant and his assistants moving through the bazaar to buy and sell goods and make money to buy enough rubies in order to win the game. Plan your routes and maximize your efficiency with each turn. Letters & Seals adds message delivering as a lucrative form of earning money - as well as maybe selling some secrets on the side! 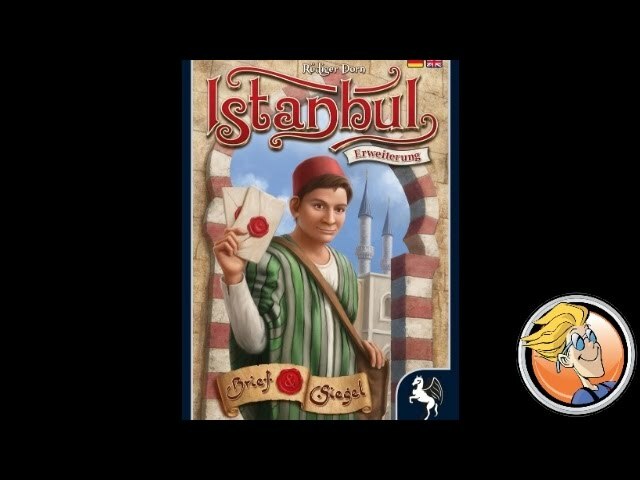 Buy Letters & Seals if you want to add a companion, more delivery, and new gameplay mechanics to your copy of Istanbul.